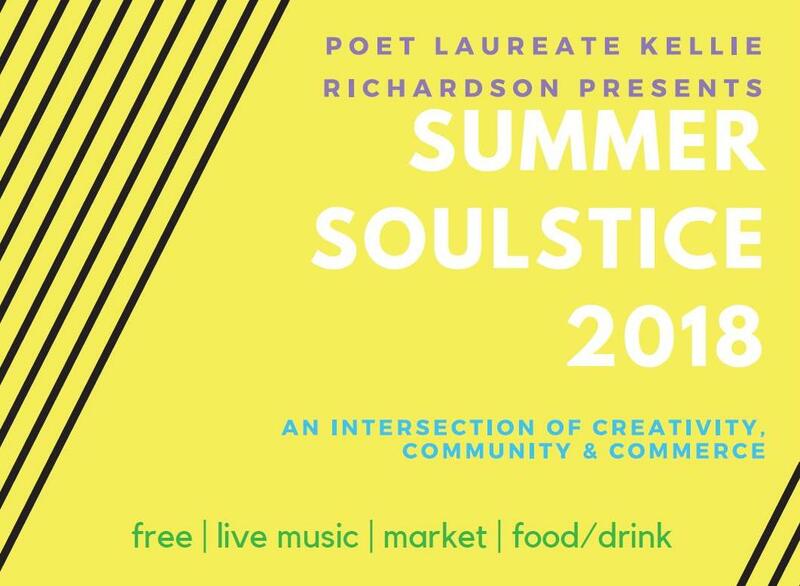 The public is invited to join Kellie Richardson, Tacoma’s 2017-2019 Poet Laureate, for Summer SOULstice, an event at the intersection of creativity, community and commerce. When: Thursday, June 21, 2018, 5:30 – 8 p.m.
Painter and muralist Tiffanny Hammonds will create a live painting during the performances. In addition, an exhibit space and artist market will feature work from local artists and entrepreneurs. Work will include every medium and price range. Artists currently scheduled to exhibit work are: Nori Kimura, Collin Veenstra, Darishma Alphonse, Nina Vichayapai, Andre Pace, Andrew Lui Robinson, Christina Butcher/Blue Cactus Press, Amanda Drewniak, Kemba Opio, Sojourner Duxbury, Amelia Foster, Apple Cox, MiYoung Margolis, Chardanae, Elizabeth Archer Klein, and Kellie Richardson. Tacoma Art Museum’s teen council, F.O.A.M., will also host an all-ages printmaking workshop during the event. For more information and free tickets, visit bit.ly/SOULsticeRSVP. Summer SOULstice is produced in partnership with Tacoma Art Museum, the Tacoma Arts Commission and the City of Tacoma’s Office of Equity and Human Rights. The Tacoma Arts Commission has awarded $255,000 to 10 Tacoma-based arts organizations through its Arts Anchor Fund program, and $45,000 to 18 Tacoma artists through its Tacoma Artists Initiative Program. The Arts Anchor Fund program awards range in value from $20,000 to $33,000 each, and the Tacoma Artists Initiative Program awards are $2,500 each. Funding for both programs is for the 2017-2018 biennium. 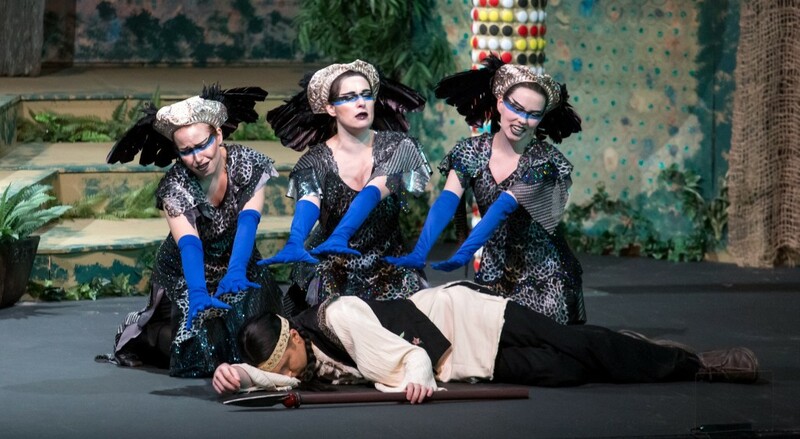 From Tacoma Opera’s production of The Magic Flute. Photo courtesy of Tacoma Opera. The 2017-2018 Arts Anchor Fund program award recipients are: The Grand Cinema, Hilltop Artists, Museum of Glass, Northwest Sinfonietta, Symphony Tacoma, Tacoma Art Museum, Tacoma Little Theatre, Tacoma Musical Playhouse, Tacoma Opera, and Tacoma Youth Symphony Association. In 2016, nine of these organizations served 506,909 people, provided free admission to 130,181 people, and generated an estimated $9.67 million for the local economy. 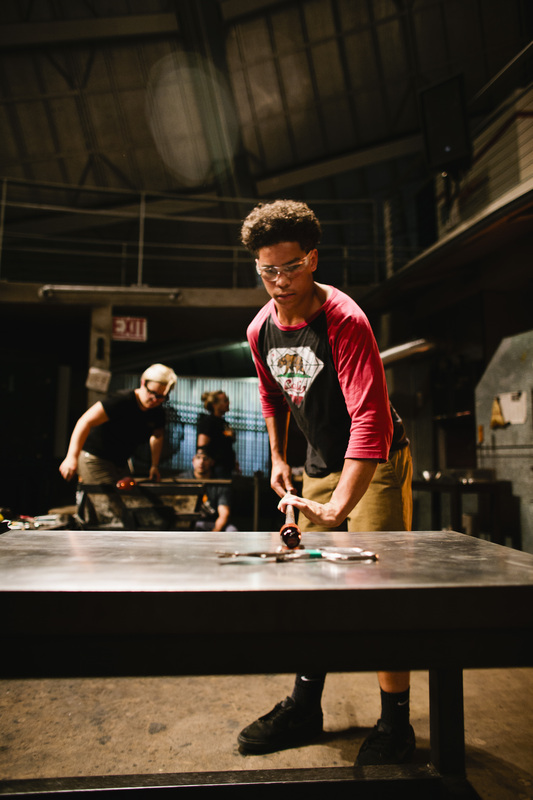 The Tacoma Arts Commission established the Arts Anchor Fund program in 1995 to provide financial support to major local not-for-profit arts organizations that significantly improve the quality of life for Tacoma. These arts organizations serve Tacoma’s community through regularly scheduled performances, exhibits and events, and school and outreach programs. public performance-installation by Anida Yoeu Ali. Photo courtesy of Anida Yoeu Ali. Funded Tacoma Artists Initiative Program projects include: production and screening of a live action short film; production of two music albums paired with public performances and a workshop; writing a book-length poetry manuscript with an accompanying reading; writing and staged reading of a one-act play; music performances on a portable stage; an exploration of the intersection of music and culture, including a bilingual workshop; a multi-media performance of early music; three multimedia temporary public art installations; and the creation and exhibition of visual art including a series of handmade books, illustrations, paintings, mixed-media pieces, letterpress art, and poster art. 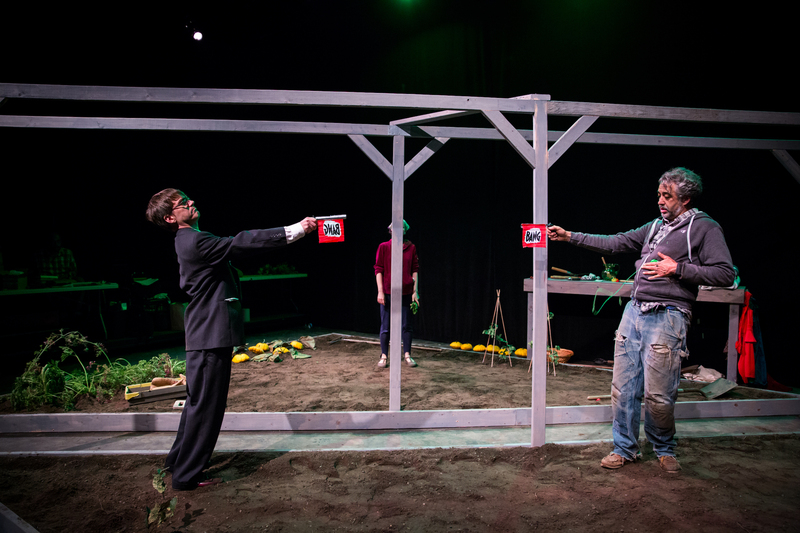 From DUELS, by Nick Stokes, directed by José Amador. Pictured: Daniel Christensen and Carter Rodriquez. Photo by Andrea Sassenrath. 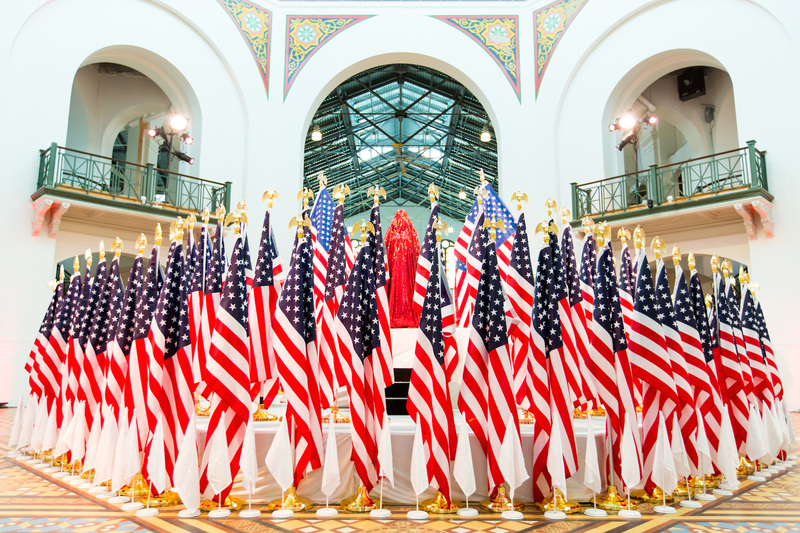 The Tacoma Artists Initiative Program was established in 1999 to assist artists with the generation of new work, and to share their talent with the public in a free and accessible format. The Arts Anchor Fund program and Tacoma Artists Initiative Program are two of three funding programs administered by the Tacoma Arts Commission. For a complete listing of funding programs and information about the Tacoma Arts Commission, visit cityoftacoma.org/arts. Are you Tacoma’s next Poet Laureate?